Ever feel like there’s not enough space in your kitchen. This is especially true for those who live in apartments or tiny houses. 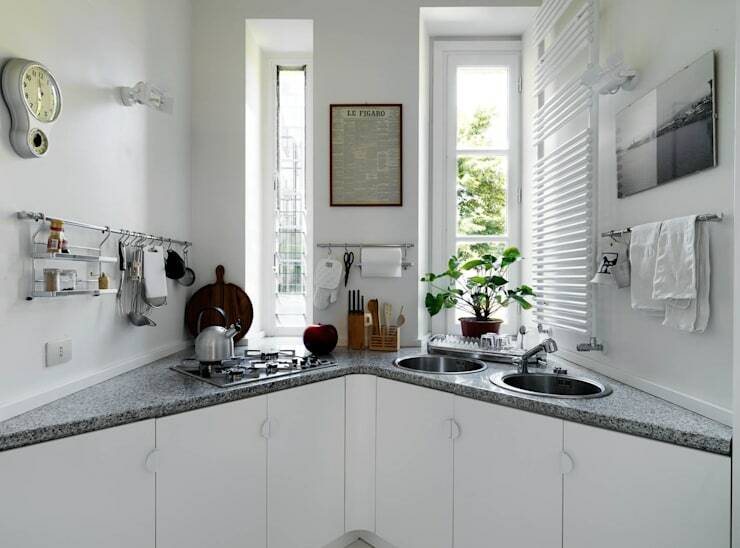 Today we will take a look at 7 clever ways to use up the corners in your kitchen to maximize your space and efficiency. Corners are usually forgotten in any room of the house and sit empty most of the time. 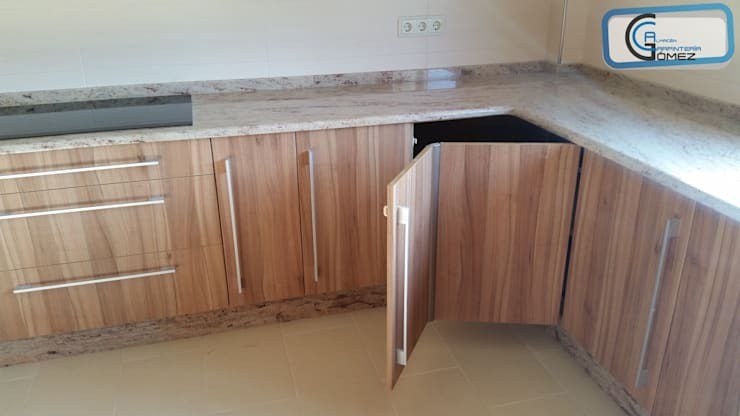 With clever planning and help from a professional, you too can hack your kitchen corners and get more space. Let’s get cracking on using up those corners! 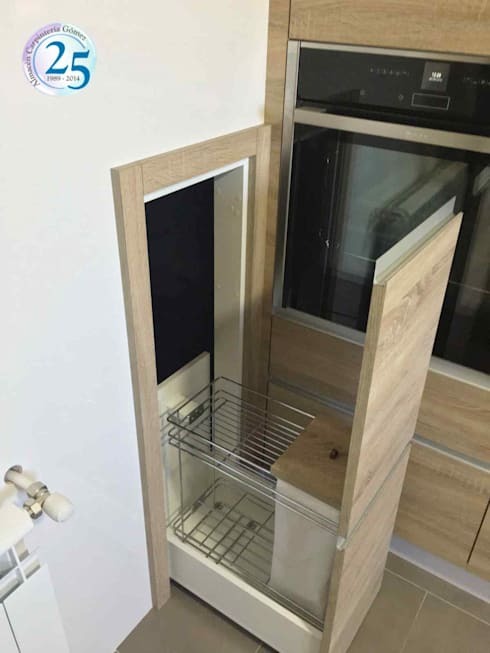 This unique solution for the kitchen creates extra counter space in a small footprint. Homey and cozy, two slim windows illuminate this small kitchen. Railings installed on the walls elegantly store extra kitchen supplies. This is a corner fix that’s perfect for apartments and cabins. Where's the corner in this kitchen? The architecture swallowed it up with a support column. This is a fantastic design for a house because it creates a sleek and minimalistic look in the kitchen. A cupboard that folds out like origami is an oldie but a goodie! Inside the cupboard is a cavernous space. It's perfect for storing awkward pots and appliances in the kitchen. 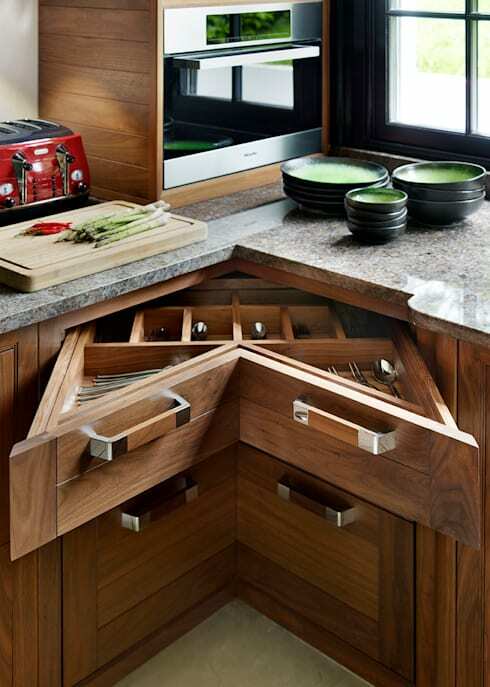 If you have a corner cabinet then using a vertical slide out drawer is an easy way to make use of that space. Drawers like this are great for storing dry goods like a heavy bag of flour so that it’s easier to access. 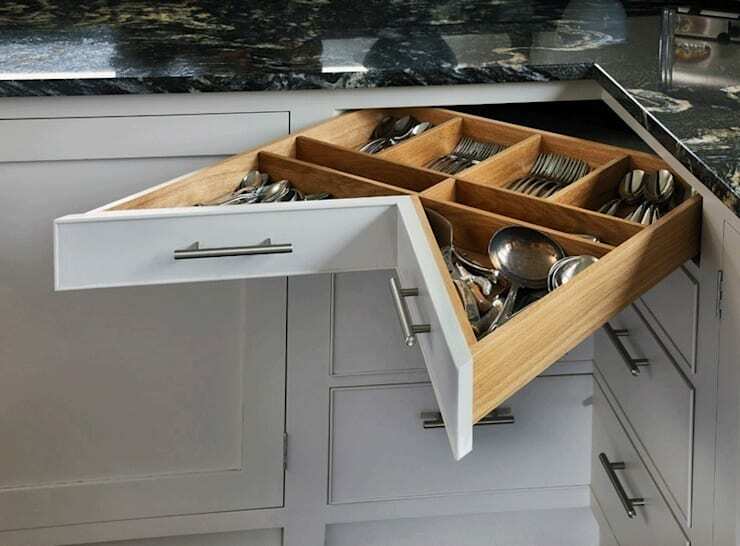 Take a look at how a corner drawer like this is divided. The triangle shaped slots store fanned out cutlery perfectly! 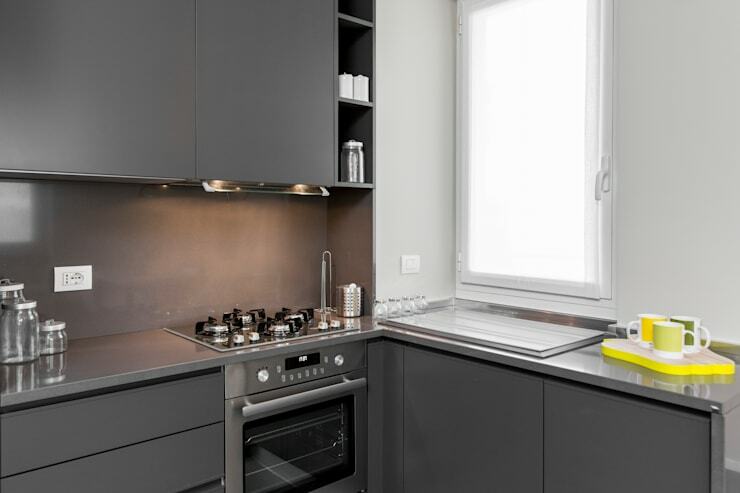 You can connect with kitchen planners on homify today to get the most of your kitchen. Check out the rotating shelf underneath the cabin! This is the perfect way to make use of that deep space underneath the counter. This kitchen has great shelves and drawers. Preparing food is much easier when you can reach everything you need with ease. We hope you enjoyed our feature on using up the corners in your kitchen! 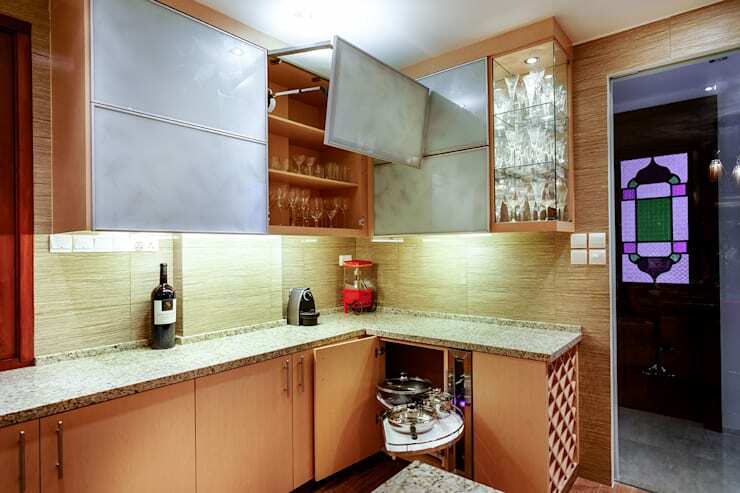 For more features on kitchen solutions, check out our feature on 7 thrifty ways to redecorate your kitchen. Which corner trick do you want to try?